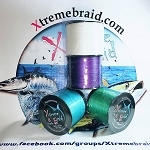 This is an 8 slicks 3000 Yards braided fishing line, made of 100% quality fibers. All of the braids has been tensile strength tested and stands up to all of your fishing needs. a. Castability with ease, smooth as silk. b. 8 slicks are weaved nicely and tight that it will look like it's a single strand. c. Superior abrasion resistance and knot strength. 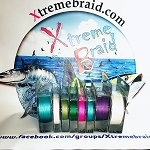 Use the RP Knot with Xtremebraid Mono for a perfect combination. 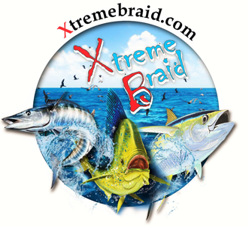 e. Fishing in areas with lots of kelps, no problem XB braids will cut right through them.